During my training classes, students often ask me about PMI membership. Most of the questions are about PMI membership Fee, benefits of joining, and renewal cost. 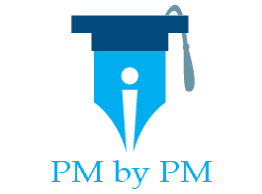 I have written this post to give complete details about PMI membership benefits, its renewal period, fees and other associated costs. PMI offers 4 types of membership viz. Individual, Student, Retiree, and Group membership. Let us take a look at these. This is the cheapest form of membership. You can become a student member only if you are enrolled into a full time undergraduate or degree program. It is beneficial for those students who want to pursue project management as their career. This type of membership is available for everyone. Any professional can join PMI by paying the applicable fee. It is beneficial for industry practitioners who want to enhance their project management knowledge and implement the acquired knowledge in their projects. This is available for those professionals who have renounced active career in project management and have taken the retiree status. It is useful for those who want to remain part of PM community but do not want to pursue project management in their career. This is available only to organizations or universities that have a group of 15 or more people interested in joining PMI. If you are part of such a group, you can directly contact PMI and fill out group application form //www.pmi.org/membership/join/group/billing. You will get a special discounted price from the PMI. How Can You Join PMI? If you want to join as a student, individual, or retiree then you can directly go to PMI’s website //www.pmi.org/membership/join and make the necessary payment to become a member. You will be charged application fee and applicable 1 year membership fee. After you become a member, the membership will expire after 1 year from the date of activation. You can renew your membership as early as 90 days before the expiration date. You just have to login to make the necessary payments and your membership will be renewed. At the time of renewal, application fee is not charged. However, PMI will charge a processing fee of $10 if your membership has expired. Many people ask why I should pay such a hefty fee to join PMI. What if I told you that you can get discount on certification exam fee, including PMP? Yes, I know it sounds a bit odd, but you heard it right! You can apply for a PMI credential exam either by becoming a member or by remaining a non-member. You can save your cost by becoming joining PMI. Let’s take PMP certification as an example. You can save USD 11 by becoming a member. You can download pdf copy of all the Project management standards that are published by PMI for free. For more information you can visit PMI’s website. You can access and read a few magazines and journals published by PMI for free. These include PM Network, PMI today and Project Management Journal. You can find more about these publications at //www.pmi.org/learning/publications. As a member, you can enrol yourself in PM Job Board and submit your resume. You can also search the job database and apply for the jobs. PMI organizes a number of webinars and events that helps certification holders to earn free PDUs. These PDUs can be used for the certification renewal and continuing education. Some on-demand webinars are also conducted by PMI to stay you on the top with new trends. There are number of interesting books, multimedia guides, eLearning items and other digital material available at PMI web-store. You can buy these at a discounted price, if you are a member. You can visit PMI web-store to check out what their offerings. As a PMI member your certifications are boldly displayed on your www.projectmanagement.com. You can also download 1000+ PM templates for doing your projects. You can join local PMI chapters only after becoming PMI member. These chapters provide a good opportunity to meet & interact with industry professionals. Some of the chapters also offer discounted exam certification & PDU earning training classes. By involving yourself in volunteering activities, you not only earn PDUs but also gain a personal satisfaction. There are many benefits of joining PMI that are generally unknown or not exploited. I would suggest you take the membership and retain it. What is your take on the PMI Membership? Do you think it should be renewed every year? Which one do you think is the most important benefit of joining PMI? How Much Does It Cost To Pursue PMP Certification Cost? I am in fact thankful to PMI. If it hadn’t been for the membership, I would have paid substantially extra for my 3 attempts. Good. Congrats. Ultimately you passed. May I know what the main reason was for failing?